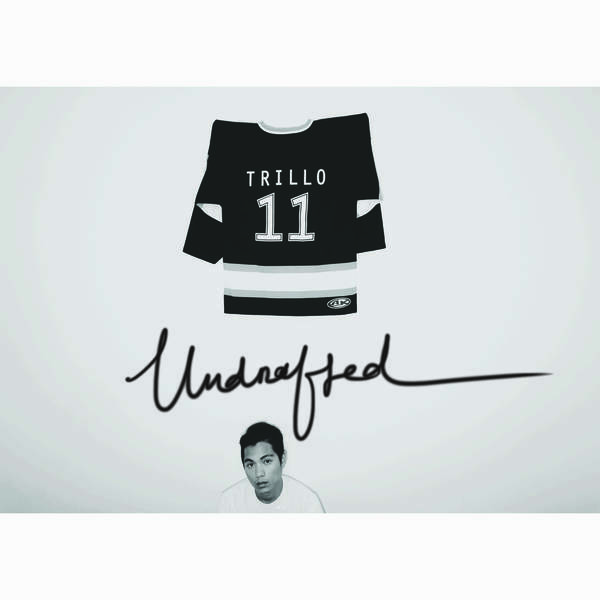 “Cohesiveness, elegance, tranquility,” – these are three things that LA-based MC, CJ Trillo urges his fans to find in his latest full-length album, Undrafted. The recent and long-awaited release follows his 2013 mixtape, Volume 1: Nostalgia, which had fans patiently waiting, and we can see why. Ever since we caught ear of his Heavy mixtape, it’s evident that Trillo is loyal to his style, which is honest, straightforward, no-frills hip-hop. His lyrical approach beams with influence from some obvious Y-generation hip-hop icons (think early J.Cole and Kendrick Lamar mixtapes). His work on Undrafted is no different. Laced with production from Jim I.E., the album begins with “Intro,” a traditional example in Trillo’s approach to conscious rap, with a twist. The song eventually shifts tempo into a softer, stream-of-consciousness reflection. Maintaining the same downtempo , traditionally-based hip-hop vibe is “YYC,” which includes a nod to A Tribe Called Quest. “Break I,” upholds this same momentum. Propped by a jazzy Pete Rock-inspired instrumental from Jim I.E., the track is one that will definitely have heads nodding and listeners lost somewhere between the kick and snare. With that being said, much of the album is an exercise in a style of hip-hop that Trillo has been loyal to for a long time. However, that doesn’t mean the young emcee doesn’t explore different tempos, vocal samples and instrumental layers. Trillo switches it up a little on “2012,” one of the earliest singles released from the album. The track leads with an 80s synth-inspired sample and glides into some traditional boom-bap. “Daydreaming” a track reminiscent of early K.Dot (most notably “Hol’ Up” on Section 80), is propped by a 70s soundtrack-inspired loop, and includes a little taste of Trillo’s vocals on the chorus. With 15 tracks, weighing in at about 3-5 minutes each, Undrafted, of course, is not without it’s flaws. The subject matter can risk being a bit more varied, but this is an ill faced by many emcees, from any stage of development. Nonetheless, it’s still a piece of work that highlight’s Trillo’s growth as an artist, and that’s something to be admired. Trillo has developed a steady fan base due to his charismatic flow and more importantly, his loyalty to a trademark style. Both can only get better with time, which begs the question (posed in “Intro”): “Do you change your ways or do you change the game?” In CJ’s case, I’m pushing that he’ll change the game. But you be the judge. The entire album can be streamed on Soundcloud.